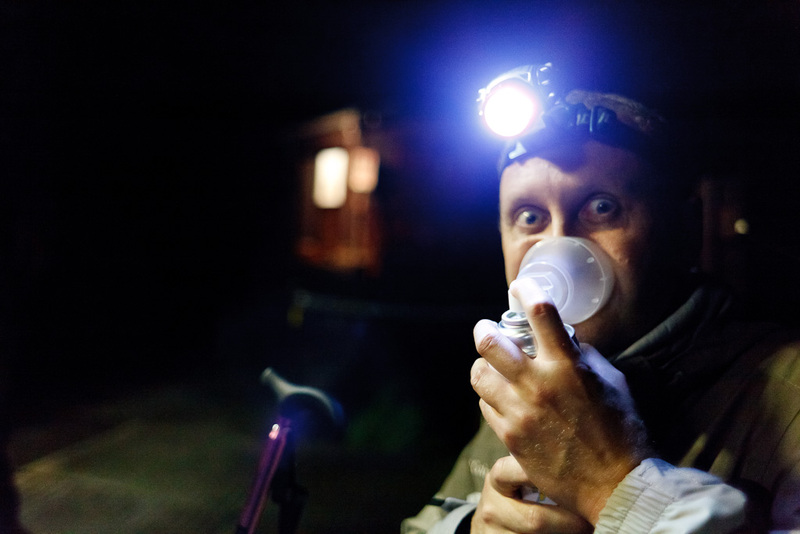 Australian traveler Michael breaths from an oxygen canister during his night ascent of Mt Fuji. It's another Friday, and thus another travel photo! Meet Michael, a traveler from Australia, on his way to the top of Mt Fuji in Japan. Named a world heritage site in 2013, Mt Fuji attracts thousands of hikers and outdoor enthusiasts during its short July to September climbing period. While many choose to climb during the day, it's popular to make the ascent at night so as to view the rising sun over Japan. As the air gets thinner and thinner, the need for oxygen from unconventional means, as pictured, can become increasingly necessary.